Here is the third and last movement of Georg Philipp Telemann's Canonic Sonata No. 1. 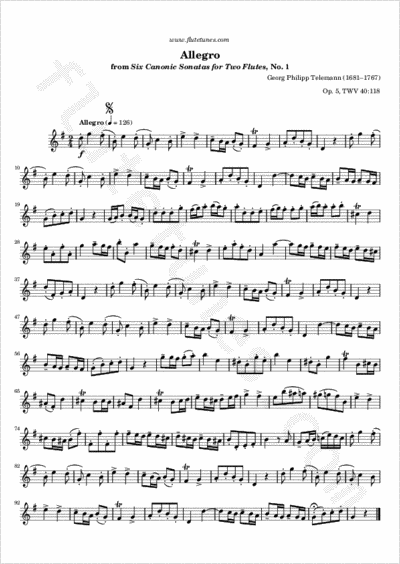 It's a lively 2/4-time Allegro in G major, and like all the movements in the “Canonic” collection it is written as a canon, so both players can play the same part, just one measure apart.